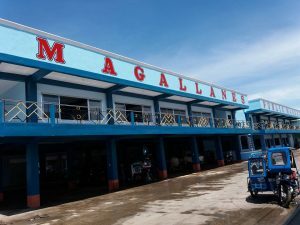 The town of Magallanes was created in a manner similar to that of Pilar [backed by an espanol-europeo who owns astilleros or shipyards]. 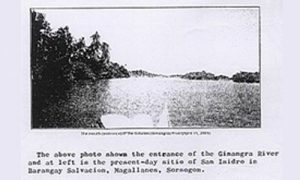 The abandoned villages of Parina (formerly the site of the ancient village of Yguey) and Caditaan, located at the mouth of Sorsogon Gulf just opposite Bagatao Island, were also rapidly resettled due to the clearing of the Burias Pass. However, these two villages gained prominence when the espanol-europeo, Don Manuel de Castro, established his astillero there. In fact, Parina and Caditaan owed their growth to Don Manuel de Castro. Don Manuel de Castro left Spain in 1819 and for three years, roamed the oceans as a sailor. 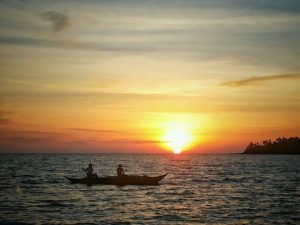 Tired of sailing, he settled in Sorsogon in 1822 where he became an abaca trader and cultivator. 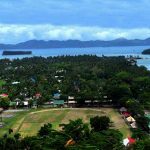 Through his efforts and foresight, he succeeded in making the abaca trade in Sorsogon profitable. 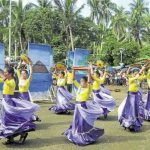 The price of abaca doubled in the province from its low price of one and a half real per chinanta to about three reales, thus benefitting the inhabitants of Sorsogon. He became a very successful abaca trader such that by 1835 he was able to build the brigantine Samuel which became his primary means in exporting abaca from Sorsogon to Manila. Abaca, thus, made Don Manuel prosperous and well-known in the towns along the gulf of Sorsogon. Because of his high socio-economic stature, the colonial government of Albay appointed Don Manuel as chief inspector of Wine and Liquors (fiel principal de Vinos y Licores) for the Partido de Sorsogon from 1838 to 1842. 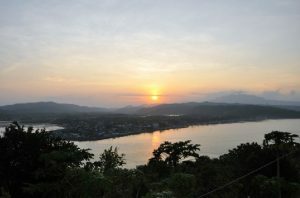 Seeing the growing role of coastal vessels in Kabikolan’s economic development, he left colonial service and transferred his residence to Parina in April 1843 where he established his own astillero. Before this, Parina was almost deserted and was largely inhabited by some fishermen’s huts. To secure his shipyard, he got official permission to build a baluarte in 1847 at the tip of Bagatao Island called Punta, which faces Burias Pass, thereby warding off any possible surprise raid against his shipyard. Assured of adequate protection and steady employment, people from nearby towns gravitated to Parina and Caditaan. The increased population in the two villages led to the need for a church and convent which Don Manuel voluntarily agreed to construct. In this endeavor, he personally wrote the bishop of Nueva Caceres asking for the assignment of a permanent priest to service the religious needs of the inhabitants of the two villages. To secure such request, Don Manuel personally guaranteed to shoulder the upkeep of the priest that shall be assigned to the two villages. Besides the abovementioned worthy undertakings. Don Manuel also led the villages’ inhabitants in clearing the nearby forests, thereby enabling his workers and their families to supplement their income from the shipyard. For his part, he established his own hacienda in 1850 in the said cleared lands where he planted and cultivated abaca, coffee, cacao, sugar cane, palay, and livestock spending no less than 8,000 pesos in his pioneering agricultural venture. By 1857 Parina and Caditaan had grown into five cabeceras and together had 431 tributes. Don Manuel’s astillero became a major place of anchorage for major ships at that time. It also became a well-known shipyard such that big merchants and even the colonial government had contracted its services. Throughout its existence, Don Manuel’s shipyard had built the barca Preciosa, the goletas Estrella, Maria, San Joaquin, Sta. Maria de los Angeles, and La Asuncion; the fragatas Bella, Gallega, and La Encarnacion; the brigantines Campeador, Brillante, San Benito, Daois y Velarde, San Lorenzo Pelayo, and San Mauricio; besides numerous lorchas andfaluas. 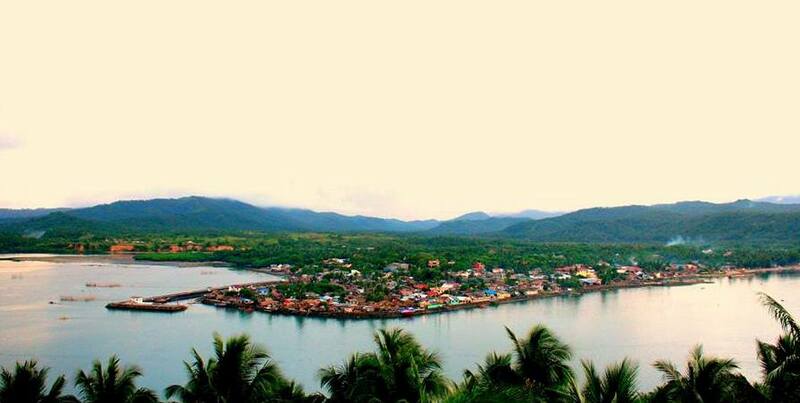 On December 1856 the teniente actual of Parina, Don Mariano Bon, together with the inhabitants of Parina and Caditaan, petitioned the colonial authorities for their formation as a town separate from Casiguran. The colonial authorities in Manila disapproved their petition for lack of required minimum number of tribute-payers. However, Don Manuel de Castro intervened on behalf of the petitioners and personally wrote the governor-general on 11 January 1858, explaining the benefits that would accrue to Parina and Caditaan if they became a new town. Presumably due to his intercession, Governor-General Norzagaray issued a decree on 30 April 1859 approving the petition of Parina and Caditaan as a new town to be called “Magallanes” in honor of Fernando de Magallanes. 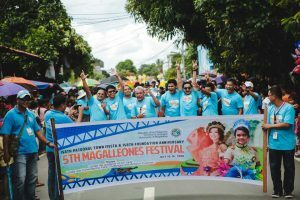 The twelve electores of the new town honored Don Manuel de Castro by electing him the town’s first gobernadorcillo in recognition of his invaluable contributions to the inhabitants of Magallanes. 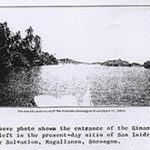 The next step which finalized Magallanes’ existence as an independent town was made on 11 December 1863 when the colonial authorities in Manila approved the inhabitants’ request to make the town an independent parish. The approval was again secured when Don Manuel committed himself to shoulder and direct the construction of the town’s church, convent, and casa tribunal.